Jetzt neu mit Nema17 0,9° und 200g Gewicht. Titan brings high performance, lightweight universal extrusion to everyone! With the launch of the E3D Titan extruder you have the benefits of geared extrusion but in a lightweight, punchy little package. Mirrored Titan lets you do even more. Mount two Titans side by side for dual extrusion to maximise your build volume. Mirrored Titan has the same functionality as the standard version, however the nozzle is offset on the opposite side from usual. For more information please read the wiki! 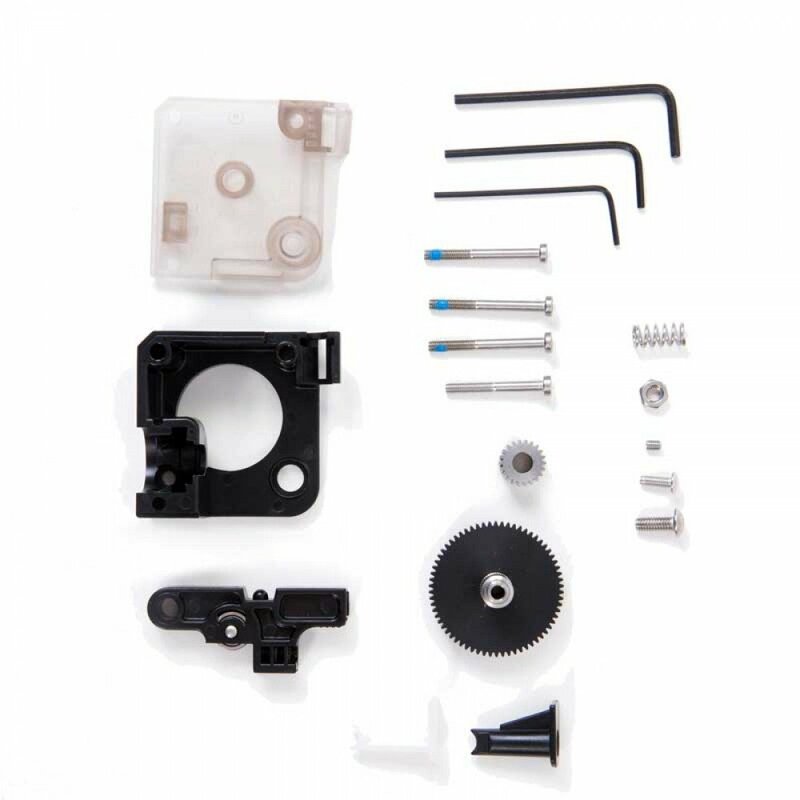 Compatible with all configurations: 1.75mm, 3mm, Direct & Bowden. Custom machined 3:1 gear reduction set. Highly optimised HobGoblin drive gear tooth profile for maximum grip and consistent steps per mm. Fast extrusion speeds for Volcano. Plenty of pushing power for small nozzles or demanding filaments. 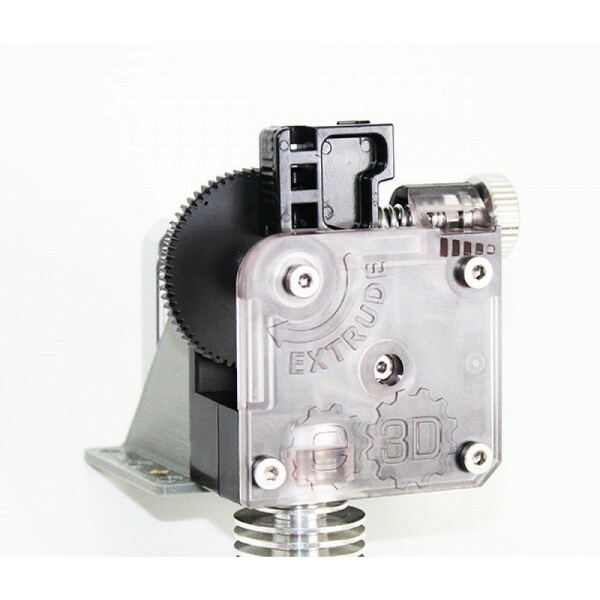 Size and weight of a direct-drive extruder (only 90g! 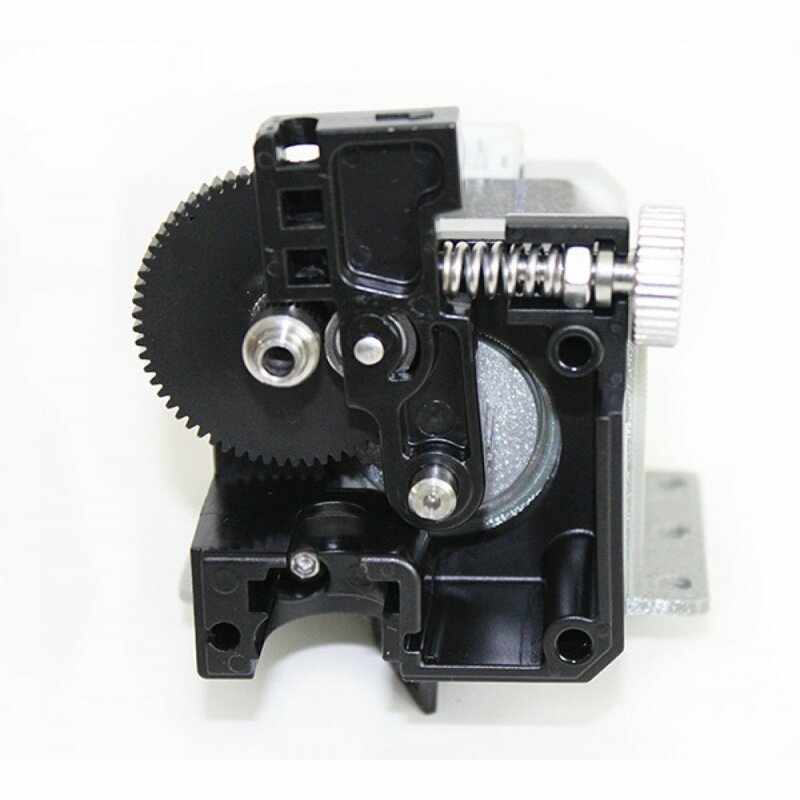 ), but with power and resolution of a geared extruder. Idler tension adjustment with force indicator for repeatable tension settings. Nema17 40N-cm stepper motor with 24mm D shaft for grub screw and 1.0m wiring. 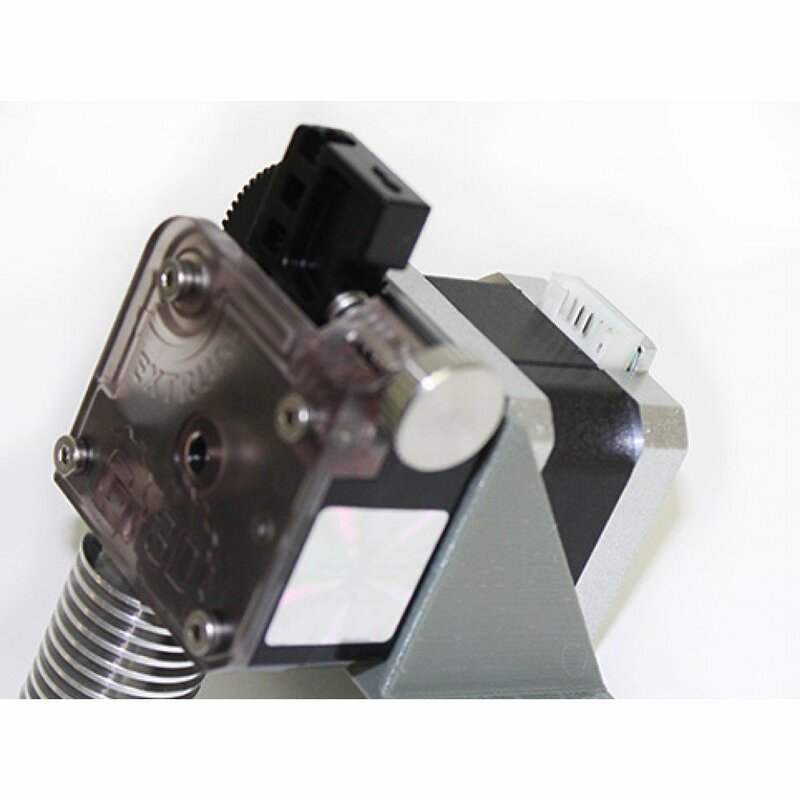 These stepper motors are smaller NEMA17 Stepper Motors for use on your extruder or printer axes. Being only 38mm long but still producing 40N-cm of torque these motors make an excellent choice for use on your extruder. Lighter and shorter than the standard motors, but producing nearly as much torque. Hybrid. Weiterführende Links zu "Titan Extruder-gespiegelt"